Duplex Basket Strainers are designed for applications where continuous flow must be maintained whilst cleaning filter baskets. The strainer uses integral 3 way stainless steel ball valves with PTFE seals. This design provides drop tight shutoff eliminating costly and potentially dangerous leakage into the chamber not in use which can occur in some other duplex strainer designs. This also eliminates some problems which can occur in particular suction conditions where in other designs air ingress could occur. All parts of the valve mechanism are accessible after removing the basket chamber without taking the strainer out of the pipeline. The handle covers the basket strainer chamber when in use and prevents accidental opening of the filter cover. Available in cast iron, bronze, carbon and stainless steel. Pipeline sizes from 20mm (3/4”) to 200mm (8”) (ask for details of sizes above 200mm). 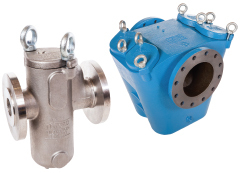 Available flanged in all common drillings including PN16 and ANSI150 (ANSI300 and 600 on request) and screwed ports both BSP and NPT or socket weld. XD range up to 13.8 Barg (pressure stated at 50C, lower pressure at higher temperatures, ask if unsure). Temperature limited by chosen seal. Pressure also limited by flange rating. 200mm and above lower working pressure. Large filter baskets areas, manufactured in st. steel 316. Various options including differential pressure indicator, magnets and heating jackets. Can be coated internally and externally. 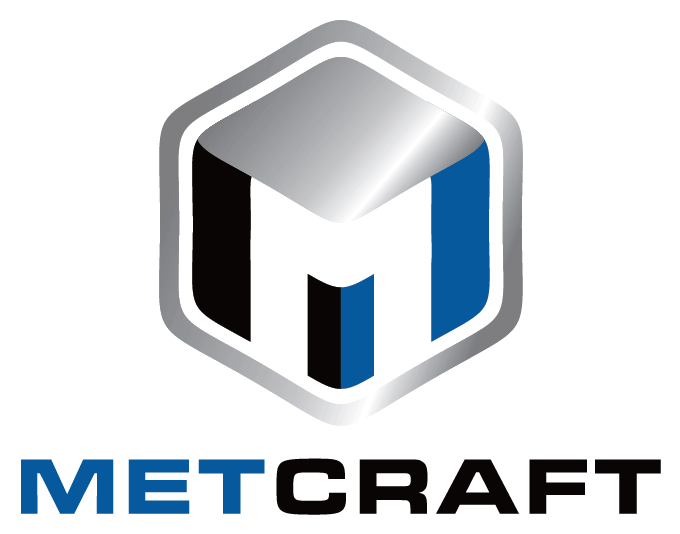 Metcraft’s Single Basket Strainers provide a simple cost-effective way to separate particle impurities from fluid flow systems. Single models described in this brochure are designed for applications where temporary interruption of a batch process can be permitted for basket cleaning. 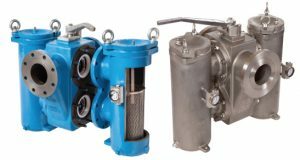 Where continuous, uninterrupted flow is required, our duplex strainers or self cleaning filters described in other bulletins should be used. All strainers are individually pressure tested. Available in cast iron, bronze, carbon and stainless steel and other materials to customer order. Pipeline sizes from 20mm (3/4”) to 450mm (18”) (ask for details of sizes above 200mm (8”) ). Flanged in all common drillings including both 150 or 300lb rating (600lb in certain sizes) and screwed ports both BSP or NPT or socket weld. Range in cast iron, bronze, stainless steel and steel up to 14 Barg at 50C. XSHP high pressure range in steel up to 50 Barg. Large filter basket areas and manufactured in st. steel 316. Various options including differential pressure indicator, magnets to remove ferrous particles, heating jackets.